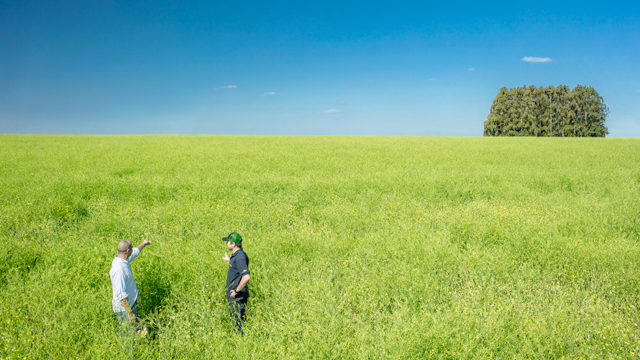 (UPM, Helsinki, 15 January 2018 at 14:00 EET) - UPM Biofuels has received a sustainability certificate for the cultivation of the Brassica carinata crop - a new feedstock for biofuel production - in Uruguay. The RSB (The Roundtable on Sustainable Biomaterials) certification in biofuel feedstock production complements UPM Biofuels' existing sustainability certifications like ISCC (International Sustainability and Carbon Certification) and RSB certifications for its UPM BioVerno biofuel production. Brassica carinata winter cropping in Paysandu, Uruguay.